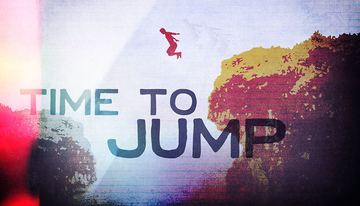 The right time to jump is now! A few weeks back, I put in a notice to quit my job. My really good job. At the exact moment I received a mail from SHEROES, when I was considering exactly how to take my business idea forward and what kind of exit strategy I needed from my current job - which was a great position in a great company. Even though I had a great job where I learned a lot in a company that was going places, I had a deep desire for more. Marketing for a company making cool apps, while interesting, simply is not my passion. Having been a freelancer in some capacity since my college graduation, I was confident in my ability to market myself and live off of a freelance income. I knew that I could leverage my time to also build a business that speaks to my core passion of empowering women - all while simultaneously giving myself the freedom to travel by not being tied down to a desk, constantly worrying about whether or not I’m over-using my leaves, and whether I’ll get to all the locations on my bucket list before I’m tied down with other responsibilities… And knowing that I won’t be living with regrets and the dreaded what-ifs. We only get one life to live, so we have to make it our own and follow our own passions. After all, if we don’t live a full, happy, truly fulfilling life, then what is the point? So, I took a leap of faith. I left my job to follow my heart. To do what I know is right for myself. I know I will face obstacles and more things than I will be able to count won’t go my way, but I’m confident that my ideas will work out somehow and that the blessings for success will come through when they’re needed. To take a leap of faith, all you need is passion, conviction, and a strong dose of self confidence, and belief in your abilities. If you’ve got those on your side, anything is possible. So, I’m taking it - my leap of faith. I’m without the traditional job that so many people rely on for a regular paycheck and benefits, but I’ve gained the freedom I want and the potential to earn even more than a desk-ridden office job… I couldn’t’t be more excited. Chelsea Baldwin is a freelancer, expatriate, and budding entrepreneur. She began working at the age of 17 and has followed an interesting, curvy career path including non-profit work, teaching, and corporate marketing. Her deepest interest is finding and working towards passion, helping women propel their careers, their communities, their businesses (and their bank accounts), themselves, and other women forward.